The blurb on the reverse of the album sleeve invites you to "Forget about the Black Keys; forget about The White Stripes. Merging pelvic-pounding rhythm and lustrous harmonic bliss, Jonathan Kane is single-handedly reinvigorating the blues for the 21st century". This is all a bit too bold for its own good, but it's true enough that cult avant-garde drumming maven Jonathan Kane has made a move towards primitive rock & roll and rootsy Americana. There's still something about the way all this is put together that makes Kane and his band sound like the no-wavers they've always been though: for all the bluesy swing of 'Smear It', this opening track is hardly Bo Diddley, swaggering with an ominous, steely edge. 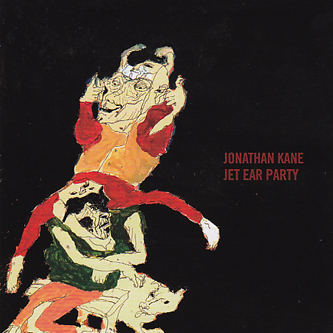 'Blissed Out Rag' and 'Jet Ear Party' start out to embrace those boogie-woogie sounds a little more readily, but the record is truly at its finest on 'Thank You Fallettinme Be Mice Elf Again', which despite being a cover of a Sly Stone song, sounds rather like an old Aerosmith recording with a bit of flailing bagpipe on it. Kane's drumming hits some real high spots over the course of the album too, and closing piece 'Roller Coaster' in particular features some pretty bracing kit work, though realistically it has more in common with jazz or even metal than the R&B traditions the album sets out to tap into.